This B&H Kit includes a Pearstone USB 2.0 Type-A Male to Micro-USB Male Cable and a Micro-USB to USB Type-C Adapter from Xuma, so you can sync and charge micro-USB as well as USB Type-C devices, using your USB wall charger. The cable creates a connection between the charger and micro-USB device up to 3' away. It comes with a shielded construction, which protects against electromagnetic and radio interference and ensures a clean signal transfer. For USB Type-C devices, you can attach the USB Type-C male to micro-USB female adapter to the end of this cable. The USB 2.0 Type A Male to Micro Type B Male Cable from Pearstone is a premium quality 3' (0.9 m) USB cable that is fully compatible with USB 2.0 specifications, backward compatible with USB 1.1 devices, and supports error-free data transfer speeds up to 480 Mbps. It features a type A male connector on one end and a micro type B male on the other end. Braided copper shielding and an aluminum foil wrap protects against electromagnetic and radio interference and ensures a clean signal transfer. The connectors are hot pluggable and install with Plug-and-Play ease. Additionally, this cable is RoHS compliant, UL rated and FCC certified. 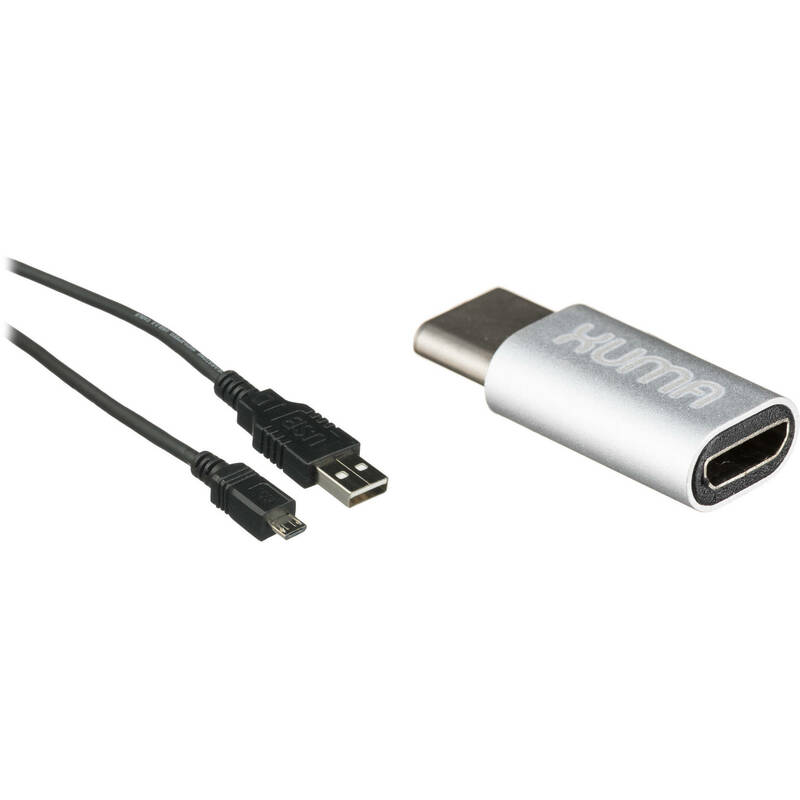 Use micro-USB cables with your USB Type-C device with the Xuma USB Type-C Male to Micro-USB Female Adapter. This compact adapter features a USB Type-C male connector that lets you sync and charge compatible smartphones, tablets, computers, and other devices with micro-USB charging and syncing cables. It reaches speeds comparable with USB 2.0. A brushed aluminum finish adds durability and style. Box Dimensions (LxWxH) 6.5 x 6.5 x 0.4"
Box Dimensions (LxWxH) 6.0 x 4.5 x 0.2"